Dr Seuss’ Sam-I-Am may have been talking to San Francisco native Lawrie Brown when he was exclaimed his dislike for green eggs and ham. 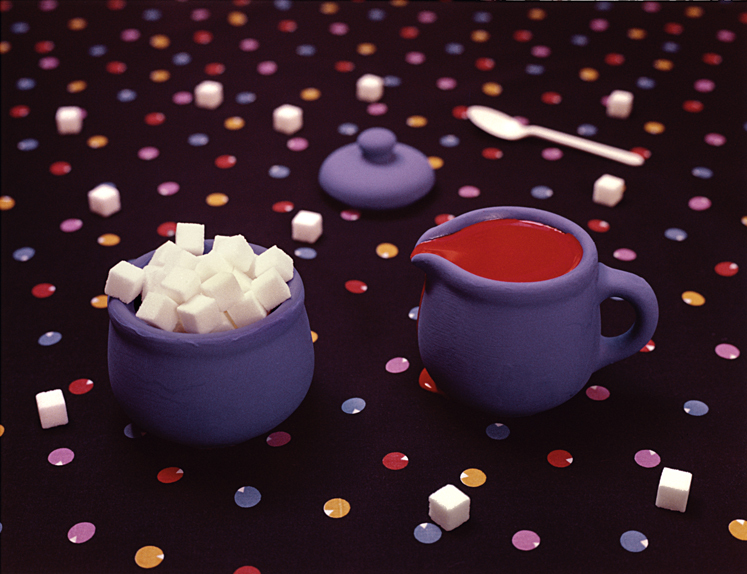 Brown’s photographs are quite quirky, comical, and sometimes er…strange. 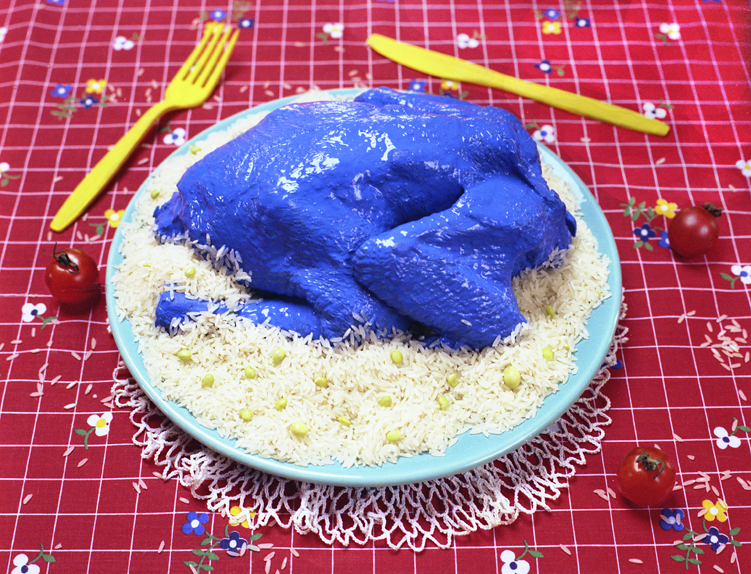 Her newest work takes the art of food garnishing to an entirely different level. 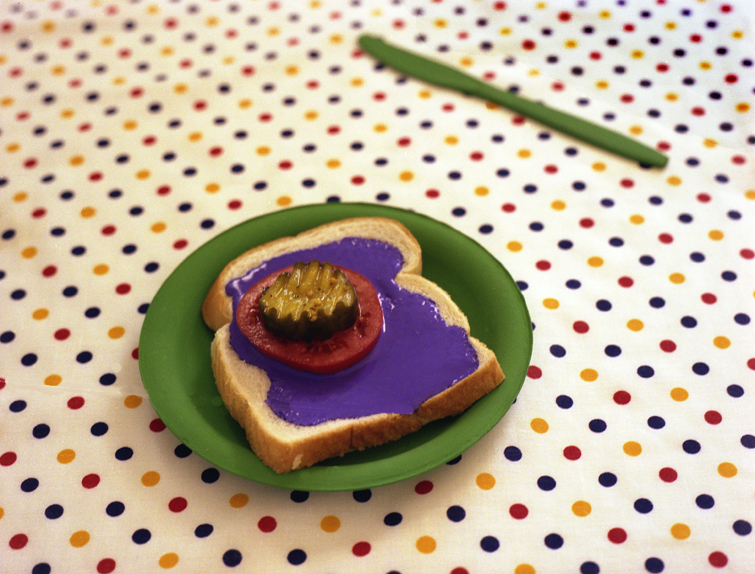 Her newest series is fittingly named “Colored Foods” features a sorts of familiar dishes coated with vibrant latex paint. 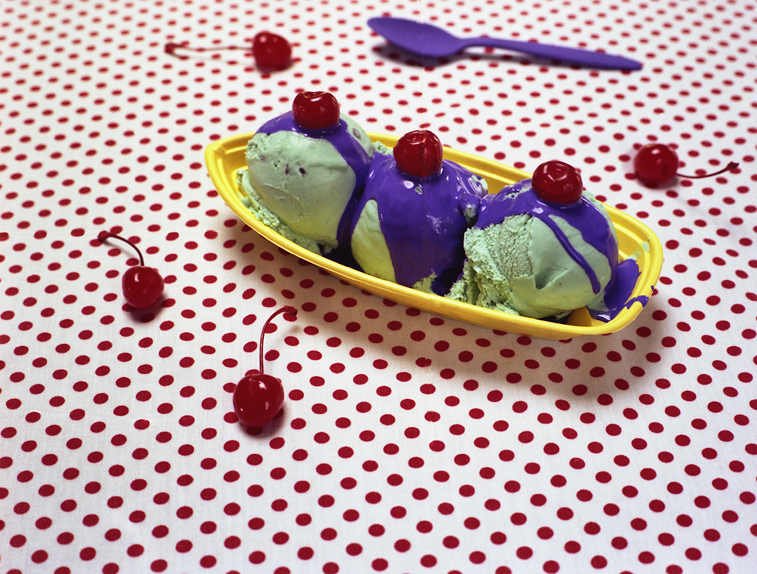 “These photographs comment on the social, visual, and psychological aspects of food. 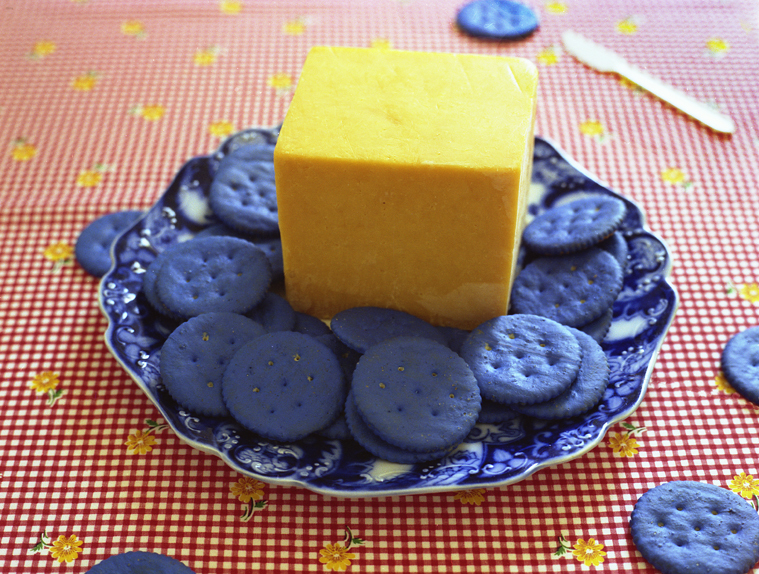 I am involved in a photographic investigation of what food people eat, what those foods materially consist of, what they look like, and what statements foods make about our society. Of concern to me is what food actually looks like photographically and how it psychologically affects the viewer when isolated in its natural context.